The Government has announced it will accord the Late Boniface Byanyima official funeral with the body expected to lie in state tomorrow. The decision announced by Prime Minister Ruhakana Rugunda follows yesterday’s Cabinet Meeting shared by President Museveni, who briefed the ministers about the passing of the former Democratic National chairman and directed that a State funeral be accorded to him. 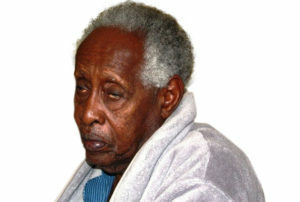 Mzee Byanyima, the father of opposition ‘leader’ Kizza Besigye’s wife Winnie Byanyima, passed on Tuesday at the age of 97. The Late Byanyima was President Museveni’s foster father, said to have taken in a young Museveni, who grew up in Byanyima homestead in Ruti village along Kabale Road. However, in later years, Byanyima and Museveni grew distant as relations between the two soured. Perhaps it is because of this turn in events in the relationship between the two political icons that the media was rife with speculation that the late had left a will instructing that Museveni must not be allowed near his coffin when he dies. These allegations have been refuted by both family members and the Government. Following yesterday’s Cabinet Meeting Premier Rugunda was tasked to chair another meeting with DP officials and representatives of the Byanyima family as well as government officials to come up with a funeral arrangement. The meeting agreed on the body lying in state tomorrow from noon until 2pm when a special session will see Parliament pay tribute to a man who has been seen as an icon of truth throughout his long life. At 9am on Saturday, there will be a funeral service at St Paul’s Cathedral in Namirembe before the body is taken to Ruti for a vigil later in the day. The late is expected to be laid to rest on Sunday in Ruti, Mbarara District.